SummonsResponse.com is NOT an eBook! It is a simple automated DIY system that will guide you through a series of basic questions in order to create a properly formatted response to a court summons. 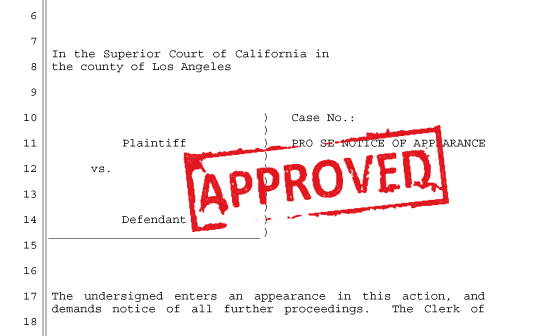 Upon completion you will be able to immediately print out your response summons form as well as other documents and file them with the court. No scripts to read. No documents to fill out. No complicated instructions to follow. Just a simple step-by-step process. 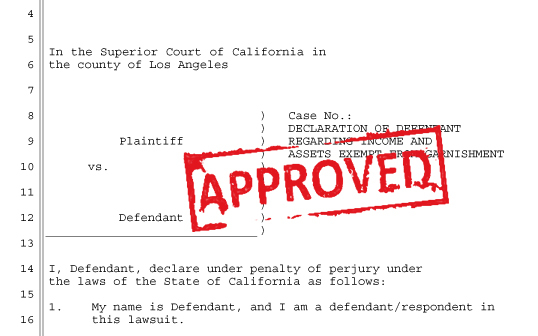 When served with a lawsuit, the court allows a short period of time for a defendant to file a response to summons and complaint filed by the plaintiff. By filing an answer, you establish that you are contesting the case and requesting the plaintiff to prove the case at trial to win. 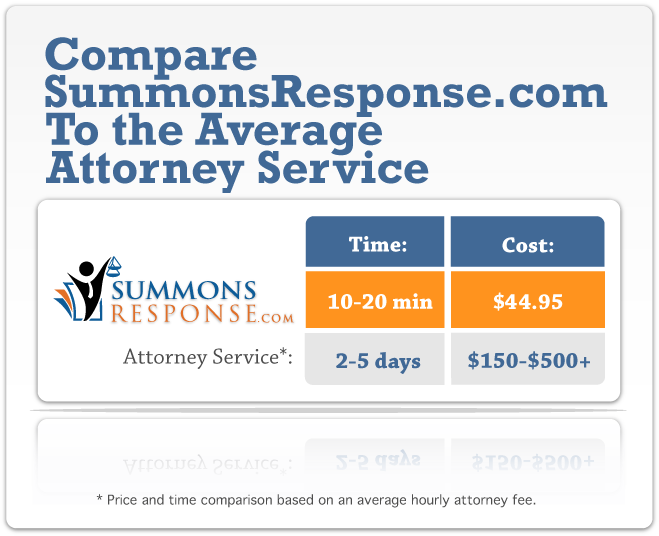 Your written response to summons must be in a proper legal form. If you do not file your response on time, you may lose the case by default and your wages, money and property may be taken without further notice from the court. Many people who have been served with lawsuits feel embarrassed or guilty about being in debt. Sometimes they just want it all to be over with, or they feel they should be punished and want the judge to punish them. Even if you feel you are at fault, there is nothing wrong with filing an answer and it does not mean that you are trying to avoid your legitimate debts. 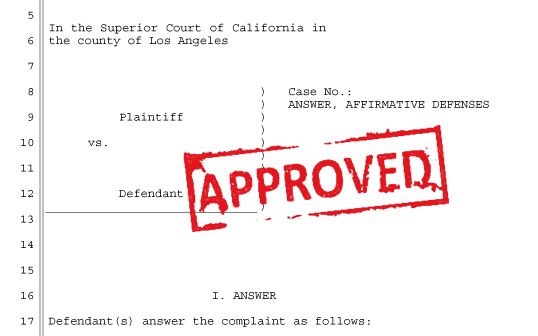 You may disagree with the amount of money the plaintiff asked for in the complaint. You may also want to answer to preserve your right to be notified of further hearings. If you do not file an answer, you may lose your chance to say how much you think you should pay and will lose your case automatically.